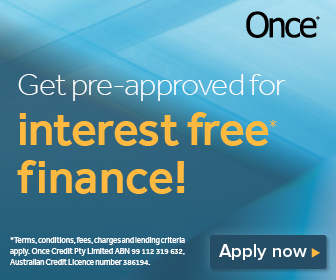 Finance your purchase with the Once Agile Visa card and pay no interest over the current promotional term. Plus get the added flexibility of 0% p.a. interest for 6 months on any future card purchases of $250 or more* – anywhere, anytime! We will then be in contact to discuss the next steps.